Fifteen-year-old Andy Lockwood is special. Others notice the way he blurts out anything that comes into his mind, how he cannot foresee consequences, that he's more child than teenager. But his mother sees a boy with a heart as open and wide as the ocean. Laurel Lockwood lost her son once through neglect. She's spent the rest of her life determined to make up for her mistakes, and she's succeeded in becoming a committed, protective parent—maybe even overprotective. Still, she loosens her grip just enough to let Andy attend a local church social—a decision that terrifies her when the church is consumed by fire. But Andy survives…and remarkably, saves other children from the flames. Laurel watches as Andy basks in the role of unlikely hero and the world finally sees her Andy, the sweet boy she knows as well as her own heart. But when the suspicion of arson is cast upon Andy, Laurel must ask herself how well she really knows her son…and how far she'll go to keep her promise to protect him forever. This is the first adult fiction novel that I am reviewing on this blog. 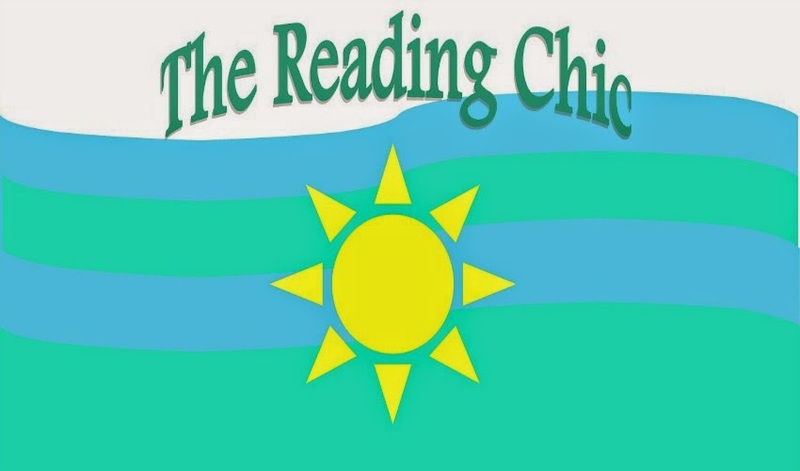 I thought that it would be worth it to post it on here, even though this blog consists more of YA fiction and middle grade fiction. This is also my first Diane Chamberlain novel. My mother and my grandmother (yeah… I know) read it before we, and told me that I would really enjoy it. I decided to give it a try. I am so glad I did. This novel is a fast read with love, lust, forgiveness, and it shows just how far a loving mother would go for her son with a disability. I loved the plot for this novel. Although it reminded me a lot of Jodi Picoult’s novels, that is not a bad thing, since I love Jodi’s novels. If you are a fan of Jodi’s, than you will love this novel of Diane Chamberlain’s. This novel was FULL of likeable characters. I fell in love with Andy, the fifteen-year-old with a disorder from his mother drinking alcohol during pregnancy. He was just so cute, but sometimes I forgot that he was fifteen. Although she wasn’t so likeable in the beginning, Laurel is the type of mother that I want to be. Minus the drinking and neglect. Apart from the overall problem being genius, I loved how Diane wrote her problem development. I loved how it was almost the end when ------ confessed that s/he did the crime. For most novels, I don’t like that, but the way that Diane did it made me actually pull me right into the story to find out what happens. I loved it. I loved the ending of this novel, but I hated the fact that ------ did it! I love him/her though the novel, but I hated the solution! Chamberlain’s writing style is unlike any other adult author’s than I have ever read before. Her writing style is so easy to read, it just was easy on the eyes. I think that Andy’s character development was amazing through this novel. It wasn’t only him, but all of the characters. Diane has a huge talent in here, and that is why she struck high. Although this cover in not my favourite of all time, don’t get me wrong, it is still beautiful. I loved that this novel was set in a beach town. I find that beach towns are an amazing setting to set a book, but not a lot of novels are set there. So when I find a good beach town story, I don’t give it a second thought. Although the ending was totally unexpected, I loved it. Even if it meant that one of the character’s end of the story wasn’t the greatest. I found it very realistic and not candy coated at all. I loved the beginning of this novel. It sucked me right into the story, and I didn’t want to stop reading from the moment I turned that first page. This novel was amazing, and I am sure that this is my longest review yet, if that shows how amazing this novel is. 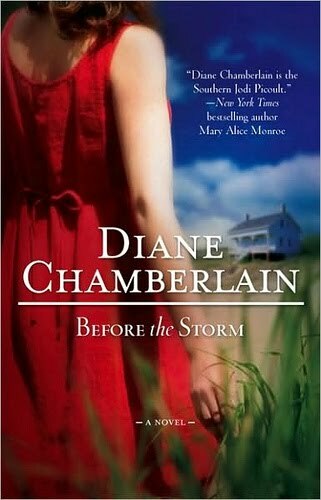 Even if you read only mostly YA books like me, you will really enjoy BEFORE THE STORM by Diane Chamberlain just as much as I did. I suggest you all go to your local book store and go to the adult section and check out Diane’s books, because even though I have only read this one novel of hers, I have a gut feeling that all of them are just as good… if not better. Sierra, what a great review! I'm honored that you enjoyed Before the Storm and I wanted to make sure you know there is a sequel so you can find out what happens to _______. It's called Secrets She Left Behind and I hope you enjoy it. One of my greatest joys is knowing that my stories often reach across several generations as they have in your family. It's wonderful that you do this blog!